Your wheels perform best when they are lined-up straight. But common bumps, potholes, and the swerves of driving can make tyres go out of alignment, as can aging shocks or struts. When wheels are even slightly out of alignment - less than you may be able to see - tyres wear out faster; even your control and handling can be affected! The weight of the wheel and tyre should be balanced evenly around the axle. Even a tiny difference in balance can create vibration in a tyre; that’s turning hundreds of times per minute. And when you multiply by four or more wheels, it definitely adds up! 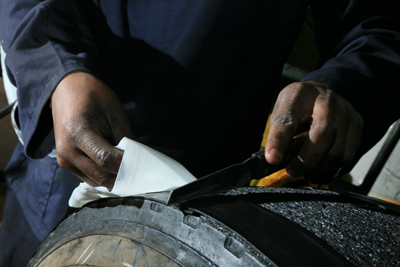 We will repair the tyre and balance it for you, then remount it in minutes, so you don’t lose any more of your day. Check your spare to ensure that you are prepared for 'next time'! Tyres tend to wear unevenly. Front tyres tend to wear most on their outside edges, but all tyres can wear unevenly due to even the slightest imbalance or misalignment. To get the most life from your tyres, it is a good idea to have them rotated (moved from wheel to wheel) every 6 months or so. 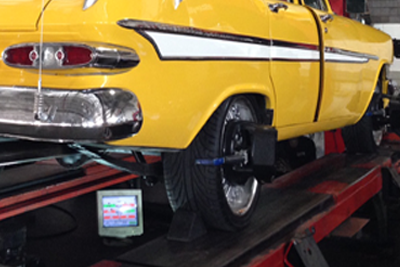 Having your tyres rotated twice a year helps them wear longer and more evenly. If you have front wheel drive, rotation is even more important. 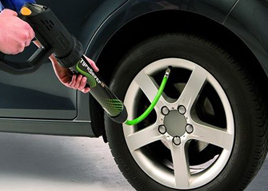 Nitrogen is a beneficial alternative to air in tyres. A dry, inert and slow acting gas; Nitrogen is used in tyres of various vehicles, in many different industries and organisations. Military vehicles, racing vehicles, heavy equipment vehicles, space shuttles, and aeroplanes all use Nitrogen-filled tyres. There are different reasons for choosing Nitrogen over air. Unlike air-filled tyres, Nitrogen-filled tyres are able to sustain tyre pressure better, and for longer periods of time. This is because Nitrogen has slightly larger molecules than the oxygen molecules in air, so it is harder for Nitrogen to permeate through the rubber of a tyre. 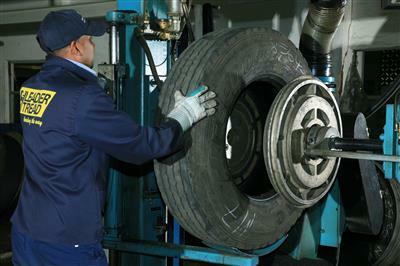 In addition, Nitrogen tyres are safer than air tyres in extreme heat temperatures. This is because Nitrogen is non-flammable, which is an especially important factor for drivers who travel in extremely hot conditions. 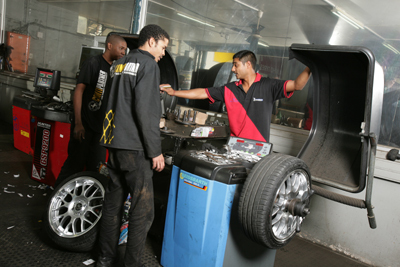 Overall, Nitrogen-filled tyres run cooler, increase tread life and fuel mileage, and prevent uneven tread wear. All vehicles on the road have some form of shock absorber. 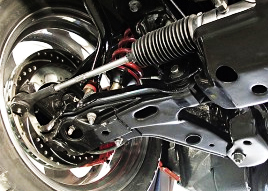 They are located on the front and rear wheels or axles of the vehicle and are connected to the vehicle suspension system – tyres, springs, chassis and their linking components. Their primary function is to keep the vehicle’s wheels in contact with the road. Secondary functions are to ensure more accurate control and steering of the vehicle, and to correct phasing (the movement of the suspension). 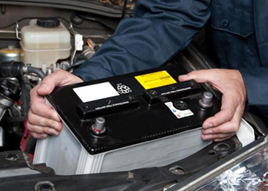 As vehicles' electrical systems become more complex, it is critical for the battery and related electrical components to operate flawlessly. 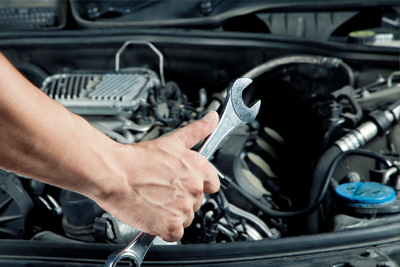 To meet the various needs of motorists, we offer four comprehensive car service options for you to take advantage of. The long-term benefits of regular servicing include improvements to the vehicle’s fuel efficiency, a reduction in vehicle repair costs and less time spent off the road.